to guide you on your journey to health. From Cover Up To Catastrophe - Andrew Wakefield. Currently, everything is being done to discredit this movie and the man who made it. Does that not tell us something?! Robert DeNiro requested the film be screened at the Tribeca Film Festival but then suddenly withdrew his support. Corporate interest is very persuasive in silencing anyone who goes against them. 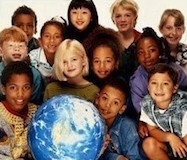 From the day of birth, our children are deliberately set up for a life of disease. Vaccines are NOT effective, NOT safe, and NEVER have been. WE are the lab rats. Rent online, or find on iTunes - 2019: Documentary is hard to find since the powers that be are doing their best to remove it from the internet. 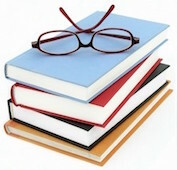 March 2019: Nearly 7,000 stories of vaccine injury stories. Watch the videos for the heartbreaking details. Submit your own. The Connection - Shirley Clarke. When you get sick, that body part translates to a specific mental/emotional issue. Your body speaks your mind - this remarkable link is documented through stories from individuals around the world. The power to heal yourself and to stay well, is within you. Cut, Poison, Burn - Jim Navarro. Chemotherapy, radiation, surgery. Nothing has changed in decades. People are still dying, numbers continue to rise. Does this not tell you something is very, very wrong? FYI: If you have a child diagnosed with cancer, the government can force you to subject your child to chemotherapy and radiation treatments. And if you don’t comply, Child Protective Services can take your child away. Cancer Is A Serious Business - Dr. Burzinski. 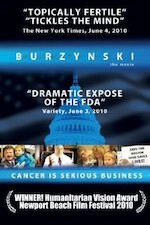 The battle between Dr. Stanislaw Burzynski and the Food and Drug Administration. Dr. Burzinski and his cancer killing antineoplastons are responsible for curing some of the most incurable forms of terminal cancer. Survivors recount in detail their diagnosis, treatment and recovery. Second Opinion - Eric Merola. 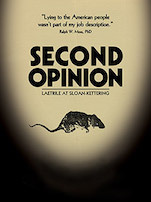 Whistle blower Ralph Moss Phd working at Sloan-Kettering Cancer Center discovered a massive cover-up regarding Laetrile (B17), used in the prevention of cancer, now hidden from our diets. A World Without Cancer - G. Edward Griffin. The story of B17. The native diets of those cultures where cancer is rare is examined and found to be 200 times more rich in this substance than the diet of industrialized society. The missing food factor is called amygdalin or vitamin B17, but in its concentrated and purified form developed specifically for cancer therapy, it is known as Laetrile. 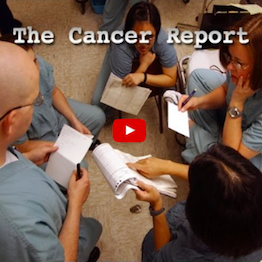 The Cancer Report - Health Wyze Media. This documentary explores the carnage of the cancer industry, dedicated to a mother who died in the unmerciful hands of conventional practice. The transition from natural medicines to chemical ones in the early part of the 20th Century, was based on financial and political reasons, at the expense of the patients. Lots of interesting data and statistics. Soundtrack may be turned down or off. A young man in Alaska quests for the truth about Nature's cure for cancer... and discovers the truth to be beautiful. Is there hope? Yes. Run From The Cure - Christian Laurette. 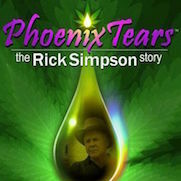 The extraordinary healing powers of Cannabis Oil as brought to the public's attention by Canadian Rick Simpson who recounts his personal cancer journey, and shows how to make the oil. The Forbidden Cures - Massimo Mazzucco. Historical documentary of orthodox medical reactions to alternative cancer therapies, compiled from archived photos, audio, rare footage and films, spanning decades past, up until present day therapies. Earthlings: Directed by Shaun Monson - NationEarth - Narrated by Joaquin Phoenix. Humankind's absolute economic dependence on animals raised as pets, food, clothing, entertainment and for scientific research. Using hidden cameras and never-before-seen footage, the chronicles of day-to-day practices at some of the largest industries in the world, all of which rely entirely on animals for profit. Shocking, violent, graphic, gut wrenching, life changing. Unity: Equal but not the same. Narrated by 100 celebrity voices. A study in the duality of man. Even after thousands and thousands of years, mankind still can't get along with each other, the animals, or the environment. The journey of highs and lows mankind has chosen to walk, many viewers have said it is a must watch for every human. Powerful. Thought provoking. The Grounded - Steve Kroschel. 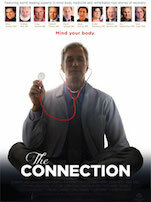 Filmed in the small community of Haines, Alaska, this delightful film documents the effects of natural earthing and the incredible healing that results. It's time to rediscover the power of nature to heal, especially important for those who live in the city, and those on pain killers. 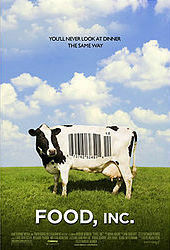 Food Inc. - Robert Kenner. Nominated for several awards, the horrors of America's corporate controlled food industry and the inhumane conditions of the animals slaughtered, is exposed. Reasons the public is sick, obese and diseased is obvious. Forks Over Knives - Lee Fulkerson. Avoid and reverse degenerative diseases by eating a whole food, plant based diet. Documentary features T. Colin Campbell, author of The China Study that proves the connection between and disease. Simply Raw - Aiyana Elliott. Reverse Diabetes 2 in x30 days. 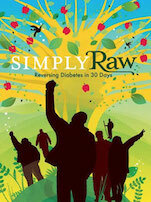 A group of individuals are documented to show their journey back to health. A plant based diet reverses disease, is proven yet again. Food Matters - James Colquhoun. You are what you eat! It's a choice - you don't have to be sick. Watch Here - first eight minutes. Rent or buy online. Never-Before-Seen-Evidence points to genetically engineered foods as a major contributor to rising disease rates in the US population, especially among children. Gastrointestinal disorders, allergies, inflammatory diseases, and infertility are just some of the problems implicated in humans, pets, livestock, and lab animals that eat genetically modified soybeans and corn. What is it doing to us?! 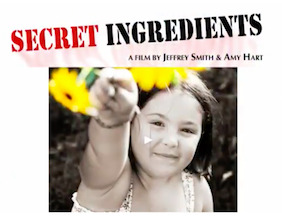 Secret Ingredients - Jeffrey M. Smith. Evidence supports the shocking effects of GMO's on the human body. Switch to organic and return your body to health - this includes livestock and pets. Real people, real stories. Uncensored. 1 in 4 people in the USA is an addict. 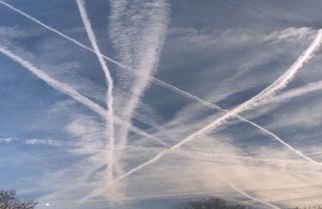 The deliberate, artificial modification of the climate, also known as weather warfare. This was begun in the 1940's and is now out of control. SImply look up! The 'chemtrails' over your head contain deadly nano-aluminum particles which we are breathing in - they also block the sunshine preventing Far Infrared and Vitamin D. The massive snow storms are created by ice nucleation. Droughts, firestorms, floods, hurricanes, tornadoes ... manmade manipulation and control. The first 3 months of weather in 2019 have been an extreme example of weather warfare and deadly effects worldwide. 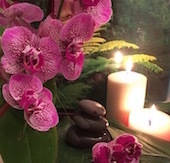 The current situation could not be more serious and is leading to the end of life on earth as we know it, in the very near future, unless we speak up in unison. This website is for informational and educational purposes and is not intended to provide individual medical advice which may be obtained from your chosen health practitioner. Always ask questions and research everything.